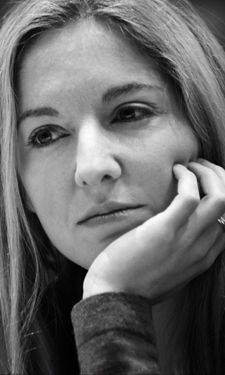 Victoria Coren Mitchell - Blog - Do You Want To Be On Only Connect? Do You Want To Be On Only Connect? Happy Christmas! Hope you all have a lovely festive season. Auditions will be held in regional centres across the UK. All applicants must be aged 18+ and UK residents. The Only Connect application form is one of the few rites of passage left to British people who want to prove they are intelligent life forms. Last year my team failed to qualify by a narrow margin. I was heartbroken. But when I watched the series, I was absolutely delighted that we’d failed, because it took three episodes before I could get a single answer right! Now my sanity has failed me and I’ve sent off for the application form again. And I strongly urge others to do the same. You never know what might happen - you might end up defeating the Crossworders (but I doubt it)! We now urgently need a third person to form a team for the next series. If anyone’s interested go to quizzing.co.uk, register and respond to the blog in the ‘Quiz Discussion’ section. Just to say thanks to Victoria Coren for tweeting about the above. Just to say that we’ve now submitted our application but are still looking for a reserve if anyone’s interested. I’m eternally grateful for Victoria Coren’s help in this one. I have not submitted a team application to be on Only Connect this time; having tried and failed twice with two different teams, I have given up… to be fair the main reason I entered in the first place was to try and invite VC out for drinks at my local pub or “bandit country” as I know it! A lost cause I’m sure… still… never say never.